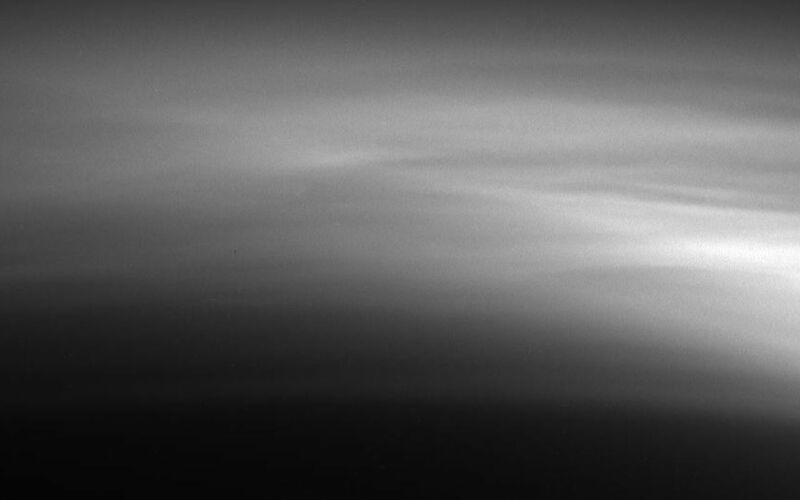 Titan's high haze layers are amazing. Cassini captured this detailed view of the relatively faint haze in Titan's upper atmosphere as it receded from its close encounter on March 31, 2005. 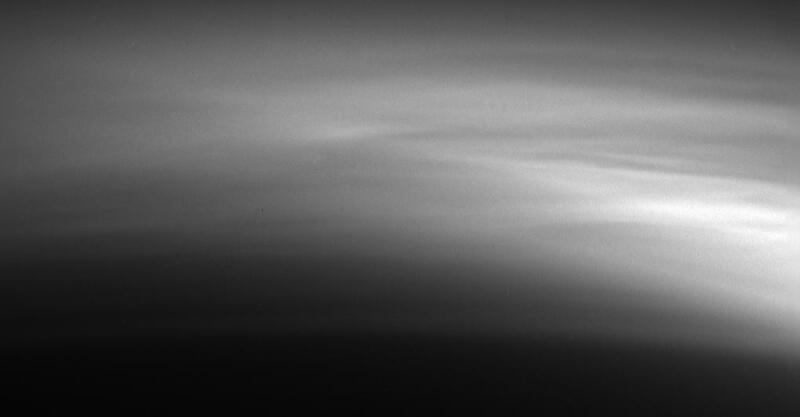 Similar examples of such complex structures in Titan's haze have been observed previously by Cassini. These observations will help reveal the processes responsible for forming the numerous layers observed and how the structure and behavior of the layers change on daily and seasonal time scales. 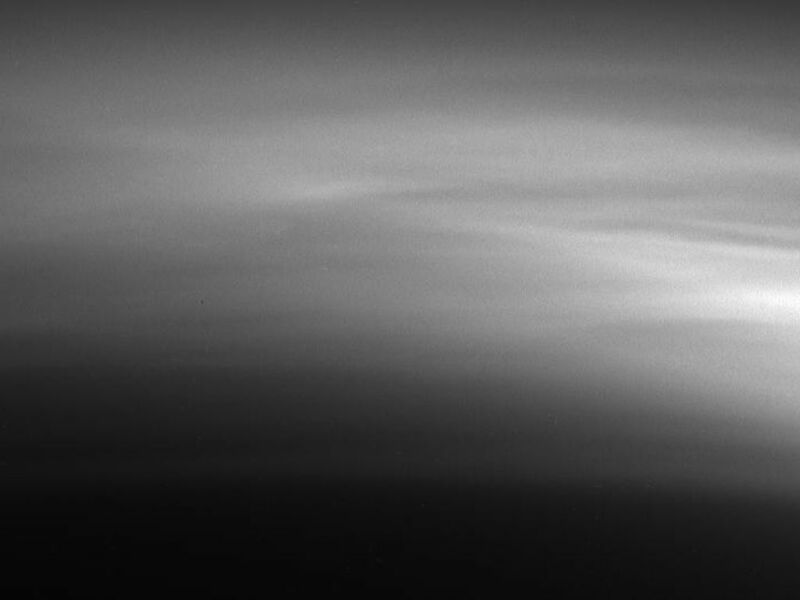 The image was taken with the Cassini spacecraft narrow-angle camera using a filter sensitive to wavelengths of ultraviolet light centered at 338 nanometers and at a distance of 102,320 kilometers (63,579 miles) from Titan. Image scale is about 600 meters (1,970 feet) per pixel.